Help Wanted - Adventure Game Fans! I've been on a point n' click adventure game bender for the past year or so, which should be obvious given the recent content on the site. In the past I've stayed away from a lot of Western games, not because I don't like them, but because they're usually covered elsewhere and I've prefer to be a bit more unique. That being said, I've been reading a lot of reviews on Adventure Gamers.com (ETC) and haven't found them quite up to par. It's not necessarily the fault of the writers so much as the way they're written. "Reviews" seem to answer the question "is this game worth buying/playing?" The "Articles" that I put on HG101 assumes that yes, it is, to an extent, and the question answered is "what is interesting, important, or historically relevant about this game?" These are the types of questions I want to address. A lot of adventure game reviews sorta skim over important things like storyline, characterization, narrative, and perhaps most importantly, puzzles, perhaps for fear of spoiling too much for prospective gamers. I say, screw that. I prefer articles written for both those unfamiliar and familiar with the game, not only picking out highlights for the newbies, but to elicit memories from those who have played it, and criticize as such. I'm also finding that writing about this stuff is a bit more interesting than the usual expansive articles on unknown arcade games. I'd like to expand coverage for these going forward, so I'm putting out a public request for classic adventure gamers: if you are interested in covering these types of games for HG101, please drop me a line! (There are a few that aren't listed because I'm already working on them, like Full Throttle, The Longest Journey, Grim Fandango, and Monkey Island.) These aren't written in stone - if there's anything else you want to cover, that's open game too. I'm trying to keep it in the realm of Western point n' click games, so I'd prefer to stay clear of Japanese visual novels or similar games, like Trace Memory/Another Code or Hotel Dusk, mostly for the sake of focus. I have a few text adventures up there, but mostly because their sequels showed up in point n' click form. I'd be willing to bend for them if there are any ecstatic Infocom fans out there, though. It can be something you've played in the past, or something that's completely new to you - it doesn't matter. Obviously it should be something that you like or at least think you'd like. If you don't own the game I can secure one for you. I can also supply screen capture software, because I need as many screenshots as possible. The only thing I asked ahead of time is some kind of samples of stuff you've written. I usually don't do this for open submissions, but I have a specific way I'd like the articles to read, so I'd like to know that you're down with writing them as such. I'm looking for articles on single games to be at least 1,500 words. If it's on a series, it can get by on being a bit shorter per each game, but probably not by much. Again, that's not set in stone, but it's a good guide for how thorough these should be. You can over some of the reviews on the site for the style I'm aiming for (like Space Quest, Gabriel Knight, Broken Sword, Tex Murphy Mysteries, Leisure Suit Larry, Beneath a Steel Sky and Quest for Glory.) I also have some examples of reviews from Adventure Gamers.com for what's good and what isn't. This is the most important one to read, because it's a great example of what not to do. Details on the plot and characters are so scarce it reads like a press release. It's filled with casual sentences and wording that do nothing to tell the reader about much of anything. The worst part is the conclusion, which claims it's "a true masterpiece and adventure gaming at its absolute finest" without telling the reader WHY. There are lots of other great (and not-so-great) reviews in their archive. I'd recommend scrolling through them to get an idea of what really makes a good article. GUMI: Oh I'm a gummy bear. Yes, I'm a gummy bear. Oh I’m a yummy tummy funny lucky gummy bear. Oh I’m a jelly bear. Cause I´m a gummy bear. Oh I’m a movin’ groovin’ jammin’ singing gummy bear. An Orwellian dystopia looking at the illegal hunting down and trading of long lost retro videogames – and an eerie reflection of what we’re becoming. “I don’t play games outside of my business,” said the man. His name was Ryohei Takamizawa, and he was a game hunter. I knew my fair share of brokers tracking down the games, the consoles, the arcade boards for the sort of people that underground arcades needed to make their money, but they’re usually nowhere near this young. I have a fascination with the real-life underground of rare game collectors, because if you’ve got enough money to spend thousands of dollars on a single, unique example of human creativity, then more power to you. People do it with one-of-a-kind paintings, so why not games? Anyway, when Googling for Kevin Gifford’s Magweasel (an incredible blog focusing on really obscure Japanese gaming culture) column on GameSetWatch, I was quite excited to discover a Japanese novel set in the future and centred around such clandestine behaviour. Best of all, it’s been lovingly translated and made available for everyone. 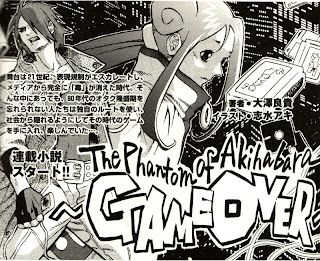 The Phantom of Akihabara: GAME OVER is a serial novel written by Yoshitaka Ohsawa and published in 2002-04 over eight issues of YuGe, a Japanese magazine devoted to games old and new (now called GameSide). Illustrations were provided by Aki Shimizu, a manga artist who I don’t think has done anything that’s attracted a Stateside fanbase yet but is still a pretty talented dude. This is almost certainly the only apocalyptic SF novel themed around used video games that has ever been written, and its mere existence shocks and enthrals me, and so I’m translatin’ it, starting with this first instalment. I’ve included a decent amount of links and footnotes so you’ll be able to understand all the Japan- (and Akihabara-) centric references. The first-person prose are reasonably written, eliciting a fair few pauses at their eloquence in describing illicit games dealing and the state of the industry. Furthermore, Kevin’s doing this for free, so any criticism of minor mistakes would be grossly unfair. The joy here is in the setting and atmosphere. He has also added some rather handy footnotes for the more esoteric references. The novel raises a lot of good questions and topical subjects, such as the nature and future of otaku and pro-gamers, Japan’s clamp-down on eroge, censorship in general, and the fact that unlike movies and books, few people know who it is that creates the games we play. Only occasionally do you see the name of the designers; more often it’s the publisher and maaaaaaybe the development house taking the spotlight. Gamers will attach themselves to a series’ name, even if different instalments are created by different people – which is a significant if seldom stated fact. The novel a depressingly frank look at the sorry state of things, right now. Perhaps video games aren’t art after all, the way that novels or comics or movies are. As a form of media, they are remarkably inaccessible, requiring a 20K-30K yen machine and several thousand yen per game to experience. The publishers, meanwhile, throw millions into each project, the price of staying ahead in the industry. There is simply too much at stake for both creator and consumer to do anything creative. No. Games are not creative works of art. Deep down, both sides of the bargain know that games are products of precise engineering, like a car or your washing machine. It also name-drops a lot of interesting games. Like the controversial, adults-only Amaranth: “an Ys-like RPG by Fuga System, which is largely unknown outside of Japan but proved popular enough to spawn a series of five games between 1990 and 1995.” Additionally, the novel contains nuggets of information I was previously unaware of – for example, apparently, the first print of the third game in the Uncharted Waters series featured slave trading, which was removed with later patches. Actually, scratch that, if you have any interest in videogames at all, you should check it out. It’s an eye-opening odyssey, a valuable lesson dressed up as fiction which we should all learn. It is, in my opinion, George Orwell’s 1984 for the gaming generation. It’s not very long – you could read it in an afternoon – and it's slightly reminiscent of the novella Welcome to the NHK if you enjoyed that (the book, not the "not-as-good" manga). I will probably do a post on it, someday. Many thanks to Kevin Gifford for translating this – I hope he continues with the series. 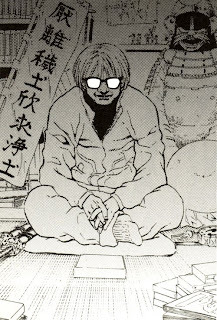 I highly recommend you check out his Magweasel blog – the post on hidden messages in Japanese games is epic. Wow. Just, wow. I always held the impression that game creators never felt any pride, or responsibility, toward their own work. That game publishers never realized that they were purveying culture through their releases. That gamers never realized the power of words, that they were more than the final, silent receiving point for the industry. 10 Crimson Maiden ~ Crimson Dead!! This CD reminds me of the Japanese countryside. I stumbled upon it randomly when I was in a Toranoana and heard the music playing from a stereo. Judging from the PC98 FM synth, I assumed it was from Etrian Odyssey or something similar, but I grabbed all three CDs, since they were pretty cheap. I later found out they were from the early Touhou shooters, which were, of course, for the old Japanese PCs. I listened to all of them during my train rides to the cities outside Tokyo, which is why I picture the long, empty, and particularly wet expanses of mountains and rice fields. It’s a strange soundtrack for such a backdrop, I admit, but it feels personally important. There’s something lonely and poignant about PC98 synth, which is why it serves as such an excellent backdrop for the dungeon crawlers like Brandish and Dinosaur, which is probably why I was drawn to it, being alone and socially isolated in a foreign country. Touhou games are shooters and so the music is much faster paced than the moodier Falcom stuff, louder with stronger beat, and much cheerier - it's not too far off from Yuzo Koshiro's work on Sorcerian. The melody in all of the songs are quite strong, feeling almost like they were designed to be played in a rock band, and there’s a main motif repeated throughout many of them. You know how the Genesis FM synth pulled out some rocking heavy metal-style music with MUSHA and Lightening Force? This sounds similar, but the PC98 is less gritty overall, so it’s a bit easier to listen to if you’re one of those people prejudiced against Genesis music. The lack of variation in style and synth does mean that it tends to blend together, especially across all three albums, but that doesn’t meant they aren’t excellent. My favorite album is Vol. 2, for the game Mystic Square, just because there isn’t a boring song in the whole bunch – even the title screen song is awesome. Some of the later songs are a bit more slow paced and sound like something out of an RPG, but their quality is just as high. I later played the game on an emulator and realized why Touhou games hadn’t really picked up in popularity until it hit Windows – the PC98 was pretty bad about animating sprites and they feel really cheap, and even a bit boring. I’d almost recommend the music without the game, because that way you can imagine something more exciting. In my case, it just makes me wistful for Tokyo. I’ve always gotten the feeling that Namco got much more love over in Japan than it did over here. I mean, Pac-Man, Dig Dug and Galaga were popular the world over, but no one outside of Japan really cared about Yokai Dochuuki, Tower of Druaga, or Wonder Momo, which is probably why they didn’t bother to localize Namco X Capcom. Anyway, this effort is mostly aimed towards these games and those who love them. The only “recent” game covered is Rage Rager. I was always under the impression that Ridge Racer and its brethren just featured generic if likable techno, and this remix hasn’t changed that. The “Genma Tou Den Medley” (known as Geiji and the Heike Clans over here) uses live Japanese instruments and sounds remarkably professional, much better than the blippy arcade version. About halfway through it breaks into a Samurai Shodown-style rock arrangement, which makes this one of the better tracks on the disc. The Mappy theme is given a jazzy, upbeat arrangement, which I guess would mean more if I even know what the Mappy theme sounded like. The Tower of Druaga theme sounds cartoony and a bit dopey, and just reminds me what a frustrating mess that game is. Burning Force is a game Americans MIGHT vaguely recognize, because its Genesis port was released in America. The rendition here is done with a heavy Latin flavor, a sharp contrast to the rock version found in Namco X Capcom. The Wonder Momo medley alternates between the two themes – the chirpy, irritating pre-transformation theme, with far too high pitched vocals against chiptune music, before it goes “HENSHIN!” into a rock rendition of the transformed theme, with deeper, more pleasant vocals. There's also one Dragon Saber song, which is pretty decent - Magical Trick Society loved its predecessor Dragon Spirit so much that they devoted a whole album to it. I can’t say I’m the biggest fans of a lot of these themes, but their arrangements are almost always unique and interesting, so the CD as a whole isn’t too bad. I finished up playing through the newly Englished Policenauts last night, and like I expected, I'm a bit disappointed in it. After a decade of buildup, this was probably natural, although it's certainly still pretty good overall. But it can't quite live up to Snatcher. The below has some slight spoilers, but doesn't go into too many specifics. It's not like there's much to spoil, anyway. I think my main problem with Policenauts is that I wanted it to be something else. Snatcher is a cyberpunk detective story, with tons of mysteries, twists, and plenty of suspense. Policenauts is, more or less, a buddy cop movie with some sci-fi elements. Its story is much more straightforward, more action-packed, and I would say, less nuanced. While it has an amazing setup, it never really pays off, plus the overall plot can easily be guessed by playing through the first Act. If a character looks evil or is hanging out with evil characters, hey, they're probably bad guys! The overall plot is little more than a typical 80s/90s crime story, right down to the drug smuggling. And the parallels to Lethal Weapon go farther than the visual similarities in the main characters. There's the liberal use of the saxophone in the soundtrack, there's Ed's hot daughter that flirts with Jonathan, there's a jovial family dinner with terrible food. And Ed, wouldn't you know, can't bring himself to fire his gun due to a traumatic incident in his past. (Not quite Lethal Weapon, but still a well known trope.) An homage is one thing, but the borrowing here is a bit too liberal. And, yeah, Snatcher did some of the same stuff...but at the end of the day, at least they didn't pull a Blade Runner and reveal Gillian as a Snatcher at the end of the game, and it still stands pretty well on its own. For as much as Policenauts rips off, it DOES do the buddy cop thing rather well, and there are plenty of humorous moments throughout, even though they mostly highlight how hilariously incompetent (and irresponsible) the heroes are. I think one of the reasons Snatcher worked so well was due to its incredible sound work. Policenauts is more advanced on an instrumentation level, and there's some amazing music in it (check out the song "Old LA 2040", which was used in the intro for the PC98 version and cryptically chucked out of the console versions, except in the "sound test" CD rack in Hojo's living room) but it's also completely lacking intensity. Snatcher, despite using chiptunes most of the time, had some damned moody music, even while doing the most mundane things. (This is particularly true of the Sega CD soundtrack, whose FM synth sounds crisper than the PC Engine version and fuller than the PC88 version, in additional in including several pieces of music that aren't in any other version.) It also can't be understated how awesome Metal Gear's sensor alarm sounds - a bit of a running thing with other Kojima games (including the Metal Gears, 8-bit and beyond), because whenever an enemy spots you, that shrill little noise can scare the HELL out of you.) There are still creepy moments in Policenauts, like everything in the museum at dark, but they really aren't that prevalent. It also doesn't help that, being a fan translation, the voicework is still in Japanese. 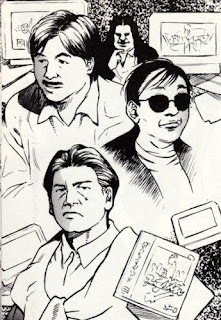 I'm definitely not knocking games in their original language or anything, but a lot of the appeal of Snatcher is that it sounded a lot like a radio drama. With the dialogue in Japanese, it puts an extra barrier between the game and the listener - you can't understand the nuance in their deliveries on anything but the vaguest of levels (hey, they sound angry!) and I think it loses a bit if you're not listening to it in a native language. Plus, although this is pretty personal, there are certain seiyuu voice types I never bought, which also applies to Kojima games. Gillian's and Snake's English voices are excellent, but hearing them in Japanese is just...weird. They're too deep, I think is the problem. Think of Mel Gibson - he doesn't have a deep voice, does he? Neither does Kurt Russell in Escape from New York. It's just really gruff, which Hayter pulled off fantastically. Of course, this is no one's fault except for Konami's for failing to localize this in the first place. Plus, I've been playing a lot of point n' click adventures lately, and one of my biggest peeves is the inability to skip through voiced dialogue. I'm a fast reader - I'd rather just click through it. Policenauts doesn't let you do this, which is really grating. It makes me impatient which in turn makes me irritated which in turn I take out of the game. Snatcher didn't let you do this either, but it also had a lot less voiced dialogue. And, like most of Kojima games (and a lot of Japanese games in general), the script is detailed but definitely overwritten. Still, if there's one major thing that Policenauts does really well, its in the world detail. The best thing about it is the way it examines how humanity can survive in space - not only on a medical level, but a cultural level too. The most fascinating part is how people born and bred on the colony are taught to act differently than their terrestrial brethren, and how it plays out in the game. For example, each group has speaks with a "Home" or "Beyond" accent, something which doesn't quite translate, again, due to the language barrier, but Beyonds are told to speak in a calmer, more thorough manner, while Homes speak louder and more emotionally. There's more than a few dialogues about aspects as how the isolation of the colony has affected things like crime, drug use, and even the insurance industry. It's also pretty interesting that the colony was developed by a Japanese corporation, and there's lot of commentary towards their pros and cons of their work ethics - pretty interesting given that the characters are technically gaijin. (All of this is detailed in the Glossary, which was found on the Policenauts Private Collection disc for the PSOne, and included in-game in the Saturn version. It's translated on Policenauts.net.) Of course, just as Metal Gear Solid was screaming "NUKES ARE BAD" at the top of its lungs, the prevailing theme in Policenauts is "SPACE IS BAD", which is pounded into your head on several occasions. There are also tons upon tons of Easter Eggs, a lot of which I missed. I screwed up on the bomb defusal on the first try, but the emulator locked up instead of sending me to the Continue screen. Since I didn't want to do that stupid purse bomb search segment again (sure, it's intense, but seriously, one of the game's only major puzzles is one the same level as a Highlights magazine), I just downloaded a save that plopped me at the beginning of the next Act. Apparently there's a lot of funny fourth wall breaking banter after successive failures - I think I have muck with my emulator settings to try it out. The translator also reported that, apparently, if you have a completed save game from Tokimeki Memorial on your memory card, at some point, the game makes a comment about the girl that you won at the end of the game. I don't know when or where or how, but that sounds crazy/weird/brilliant, even moreso than the Psycho Mantis bit from MGS. Anyway, those are my knee-jerk morning-after reactions to the whole thing. I'll let it stew a bit before making a more definite judgment. MGS3 was also fairly straightforward compared to the rest of the series, and while I was initially a bit put off by that, in the long run I think it worked in its favor. Of course, that game also had the benefit of several absolutely amazing climatic sequences, in a story already filled with amazing setpieces whereas Policenauts is pretty much just a shooting gallery with a pleasant, although quite typical, finale. It never quite provoked the same high as Kojima's other games, so I'm not sure that'll help the game, even in retrospect. I'll finish this off with some comparison pics between the PSOne version and the original PC98 release, provided by Charlie Johnson from the JunkerHQ forums. The PC98 version doesn't have any FMV cutscenes, but the still graphics are twice the resolution of the console version (click them to see them full size.) Even if it only uses 16 colors, it uses those 16 colors pretty damn well. I prefer the character designs from the console versions, but some of the backgrounds look so much cooler in the PC98 one, especially the biomort storage facility. Slight spoilers beyond, obviously. Definitive proof that Michael Jackson worked on Sonic 3, after the jump. Oh, and some mad rambling from me on the state of the US and UK magazine scene. I was visiting the grand estate of friend, and fellow infamous hyper-games journalist, Ashley Fragonard Day, the Retro Baron for GamesTM, and as we sipped Southern Comfort and carried rifles to take potshots at his menagerie of decorative peacocks, we also spoke about games mags. We discussed GameSetWatch’s Mag Weasel column, and the interesting fact that the UK, despite being a small island, seems to produce nearly double the number of games mags as the USA. And sadly, our output is seldom picked up by the videogame world’s flow of consciousness, despite uncovering and publishing some startling information not recorded anywhere else. Games websites either ignore or are unaware of what’s printed in the UK, and sites such as Wikipedia regularly refuse to acknowledge UK mags – the arguments I’ve had with the Wikistapo Mafia about them deleting entries sourced from UK publications! The end result is that an unimaginable amount of historical information is being lost and forgotten in a few obscure games mags which don’t sell well outside of the UK (or even in the UK, it could be argued). Of the wealth of interesting-but-ignored things we discussed (including his extensive examination of Captain Rainbow’s themes and the fact that Yojiro Ogawa of Sega specifically dragged a translator over so as to praise Comix Zone as his favourite Western game), the biggest annoyance was that Mr Day had documented proof of Michael Jackson’s involvement with Sonic 3, in GamesTM August 2007, and despite this, even months afterwards, the internet still spoke about it as being only rumours. One exception being the excellent Sega-16, which re-used the GamesTM quotes in a feature they did (also revealing that a copy of the original soundtrack still exists out there). Michael Jackson was a very big fan of Sonic and he wanted to record a soundtrack for the game. He came to STI and met with the team to discuss the design theme, story and feel of the game. He then went away and recorded an entire soundtrack that covered all of the worlds. It was fantastic. The music fitted perfectly for the game, and they had a distinctive Michael Jackson sound. 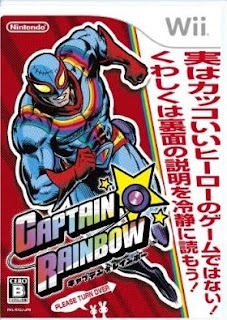 We had it all ready and integrated into the game when the first news stories came out accusing him of child molestation, and Sega had to back away from this collaboration. It was very late in the development process, and we had to quickly put together a complete replacement music track. Howard Drossin, STI’s music guy, stepped in and did a great job, working around the clock to get it done. It was too bad nobody outside ever heard the Michael Jackson music. Mr Day later requested this content be reposted in an online news story, so it would be publicly available to all. Curiously, while Wikipedia does briefly confirm what he’d discovered, GamesTM does not get a mention. GameSetWatch is referenced, but no link is provided to any online page. Well, now we should all know, Michael Jackson really did work on Sonic 3. Beyond this though, and getting back to our original discussions, the situation raises a whole bunch of interesting points. Firstly, why is it the tiny British Isles are able to support so many different publications despite their being ignored abroad? 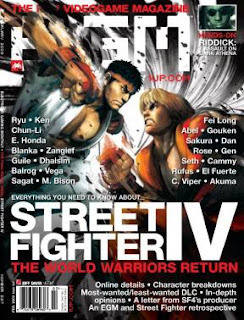 The demise of (old) EGM was a sad end to an era, with some corners speculating it was Dan Hsu’s honesty with regards to corruption in journalism that resulted in its loss of ad revenue and eventual folding. Having worked in the magazine front-lines of the UK I’m only too aware of the systemic corruption prevalent in everything, and the fact that said corruption seems to be the only way mags make profit - like some kind of perverse life-sustaining cancer. RAM Raider’s excellent blog covers barely a fraction of the true picture. Is the UK perhaps more corrupt than the US, and so able to exploit more worker drones and consumers for profit, thereby sustaining more magazines? I once took the average monthly hours myself and my colleagues worked, and divided our annual salaries over them – we were legally earning less than minimum wage. Another interesting point raised is, UK magazines tend to be better than American mags when it comes to juicy, in-depth features. The closest I’ve found to good features has been The Escapist and the now defunct Gamer’s Quarter, both of which have Reader’s Digest-like articles which go beyond basic interviews and reviews. The only print magazine I subscribe to is Dave Halverson’s PLAY, which I love dearly, but even it can’t compare to some of Britain’s best features writers (though I’m sure US staff don’t suffer nearly as much psychological abuse). Only in the UK have I seen articles on boardgames in print. This photo courtesy of LevelOneBoss. It would seem that print mags in the UK are more willing to take risks on quirky articles which are normally only otherwise run on websites. ... Pinball tables based on games, and hundreds of other features (including countless “The Making Of” articles) which I can’t quite remember at the moment. Not to mention my own features covering the History of Fan Translations (partly in response to the Wikistapo deleting Wikipedia’s entry on fan translations), Underground Collectors, the Hudson Mario games, History of Brazil’s Tec Toy (with exclusive photos), and a whole bunch of other stuff no one seemed to read. UK writers, in the course of researching such topics (and paying heavily for material out of their own pockets, whether in-house or freelance), will often dig up some startling pieces of information, despite being worked harder and paid considerably less than their American counterparts... And then no one reads or pays any attention to their findings. A lot needs to change in the games magazine industry, especially in the UK where it seems to be run by lunatic sadists, but a good start would be people reading and talking about decent features and interesting information, and perhaps giving a little nod to the burnt out human being who brought you those words. As I get time, and if I can get access to them, I will try to scan features which I feel are of merit – assuming people want to read them. 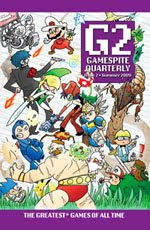 If you're fortuitous enough to check this slightly out-of-the-way blog, chances are you also probably read Gamespite. If not, you probably should, because it intersects with a lot of the interests of HG101. Awhile ago they started compiling some of their artricles in a hardcopy digest format, which began as a reaction to the closing of EGM. Since then, they've been putting out quarterly editions of their new content, themed in some manner. Their most recent book went on sale last weekend and my copy just arrived a few days ago. It's a Top 40 sorta deal (Top 48 if you buy the pricier hardcover edition), which people tend to get prickly over due to too many terrible "Top ___" by other magazines in any number of fields, but I've always found the concept pretty interesting, as long as the people compiling them know what they're talking about. (The Top 100 Best Games cover story from EGM back in like 2002 or so is still one of my favorite issues.) Of course, the Gamespite folk have quite good taste, and the articles are a more bit more in-depth than the usual "thirty words or less" blurbs you usually see on these kinds of things. (You can find the whole list here.) The only games from my own personal canon that I would've added are Snatcher, King of Fighters XI and Deus Ex, but otherwise it covers some of the best - Final Fantasy Tactics, Star Control II, Metal Gear Solid (1 and 3), Silent Hill 2, Super Metroid, Metroid Prime, Castlevania: Symphony of the Night. Of course, all of the contents will be posted online eventually, but feeling all of this content together in physical form has a certain profoundness that's usually lost in the Internet Age. (I'm kinda working on doing something similar with HG101, but compiled in a different way, although that's definitely going to be awhile off.) It's reasonably priced at $13, and while it's technically smaller than a magazine, but there's so much more worthwhile content than the average issue of pretty much anything. Unfortunately Blurb insists on shipping Fed Ex, which jacks up the total price to closer to $20, but if you Google "blurb free shipping" you can probably find a coupon code around that. After receiving this in the mail, coincidentally, there's a thread on Cheapassgamer advertising a deal for US subscribers for the the UK mag games(tm). It's $75 for 13 issues - not bad considering the cover price here is about $10 - which caused a bunch of jackalopes to muck up the thread because CLEARLY paying for content is STUPID when you have Kotaku and Joystiq, and $4-a-year subscriptions to the Official Playstation Magazine. Who would want to read more about video games than just news and screenshots, right? People like this are the reason why the Games sections at your local Barnes and Noble consist of nothing but strategy guides, causing everyone else to think that our whole culture revolves around the best way to beat Kingdom Hearts II. Super Power System cards revealed! No one responded to our request for information on what the Super Power System cards actually are, so I went heavy Google Hunting, which sort of revealed an answer – IN THE THAI LANGUAGE NO LESS! Turns out SPS cards are supposed to come with some kind of blacking-out semi-transparent plastic sheeting, which in the below photo shows that it combines with the black markers on the card to form numbers. Presumably to then be used in some form of card battles. The plastic sheath appears to be called a “Scouter” and there was also an orange plastic one used for something else. Perhaps there were different types of Scouters, which augmented cards differently? And I couldn’t be bothered trying to work out what the rest meant. It’s all a bit disappointing, really, like some kind of cheap toy you’d get in a box of cereal. But can you imagine, there must have been hundreds of kids all over Korea and Thailand trading and playing with these SPS cards back in the early 1990s. It was certainly similar in South Africa (where I recall Ninja Turtle stickers were hugely popular when I was young). I guess the urge for kids to collect and trade things is a universal trait, regardless of cultural background? DRAGON BALL CARDDASS COLLECTION & MORE ... Welcome friends. A visit to see friends this question to see the ball รา clot Card Collection of these I started accumulated since 1990 - 1991 ครับ. Some people may think it's tag is not just for me it is a great spiritual value. Just like many people like yourself is what's stored on them. Over time we see it back. Then give us a way to recall it when we do make? Happy every time I think the old days. We provide for this question. To people who are in love with me. Can talk and exchange experiences กันอ้อ! Also there is ด์ is the interchange can be done in the subject. This ครับ hope people have the same taste นะครับ caller. I will wait. If the old friends Rai Eriei to me. To see what may have passed from the hands of friends, some may view the other familiar objects that may be used to want to look? May be of ever existing. But later lost. One case or another. May be in store but not yet removed to the public. Hope this question will bring friends. To have these things. Be the subject of the meeting. Invite visits by disposition ครับ. After visits to be completed for complacency and smiles prior to a question from the other ครับ. Dragon Ball CARDDASS Thai version ...... posted # 4. * Device for playing cards SCOUTER, POWER SP SYSTEM. * Card type energy use measured values of the human body temperature. * Book cards accumulated in the country. Well, the guy’s message certainly has passion, and it was kinda heart-tugging the way he spoke about cards traded with friends and given to him by his grandmother. Still, not quite the Barcode Battler of the South China Seas I was expecting. Click on the link at your own risk. This looks like the dodgiest foreign website I have ever seen... CAVEAT EMPTOR. Or rather, websurfer beware. Man, someone should really archive his post, since I reckon it might be the only internet source for this stuff. Well, that and HG101!